Athens, 11 October 2017. 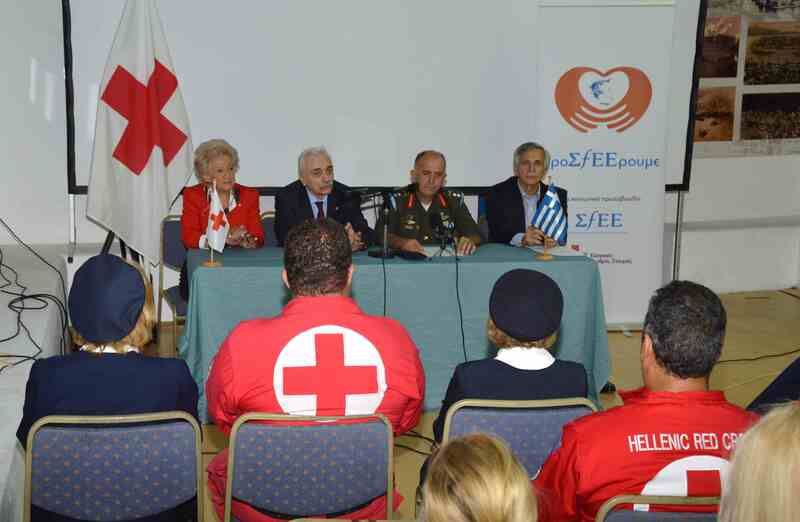 Kastelorizo was the sixth stop of the social initiative “proSfeeroume”. 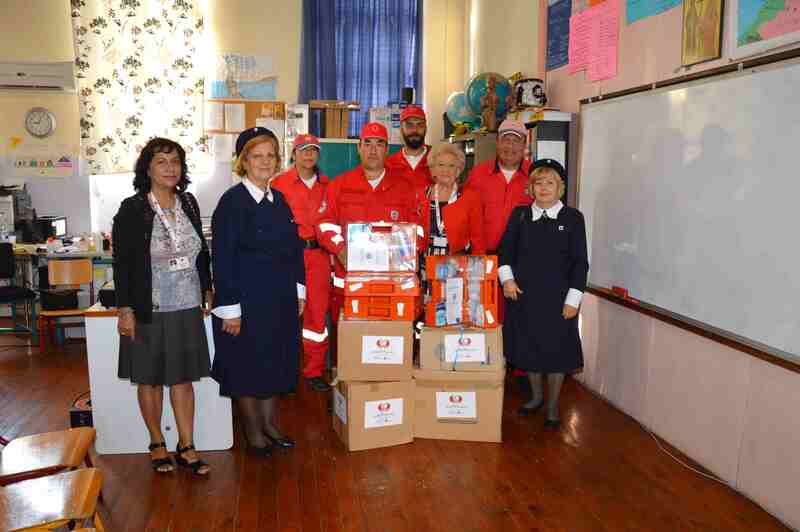 The Presidents of the Hellenic Red Cross and the Hellenic Association of Pharmaceutical Companies Dr Antonios Avgerinos and Mr Pascal Apostolides, respectively, visited the remote island of Kastelorizo and delivered pharmaceutical products and medical supplies and essential goods to the local Pre-school and Primary and Secondary Schools, in response to actual needs of the pupils and the overall population of this border area. 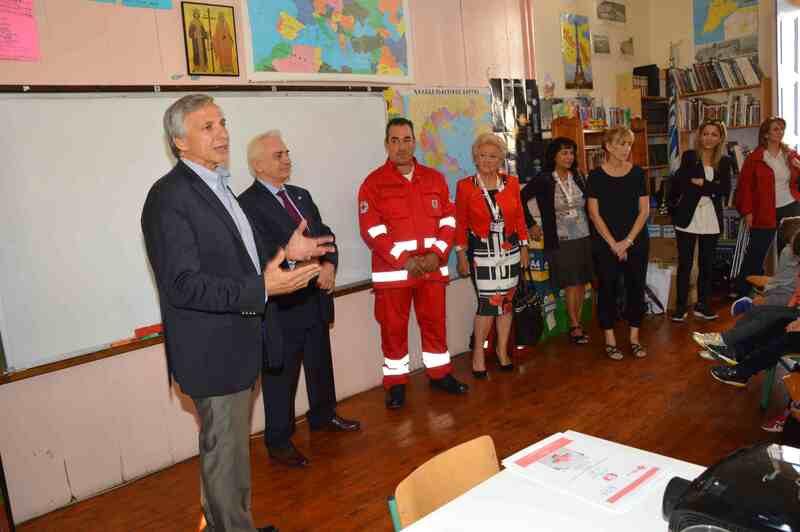 At the same time, as in the previous stops of the programme, a social worker and a nurse of the Hellenic Red Cross offered a first-aid training course for children and their teachers and parents with a view to promoting health awareness and responsibility. 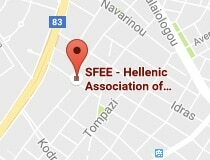 SFEE President Mr. Pascal Apostolides stated: “In a difficult time, the “proSfeeroume” initiative has opened its arms to every fellow citizen who needs us. The journey continues and we are looking forward to the next stops, Drama, Komotini, Kavala, Limnos”. HRC President Dr. Antonis Avgerinos stated: “The sixth stop of “proSfeeroume” at Kastelorizo makes us very happy, as we have managed to unite the whole country through such a difficult mission”. “ProSfeeroume” started its journey from Rhodes (October 2016), continued with Florina (November 2016), Ioannina (March 2017), Alexandroupolis and Xanthi (May 2017). Support has also been provided to the Athens Hospice for the Disabled, the Social Pharmacy of the Municipality of Pylaia-Hortiatis, the Zosimadon Home for the Elderly (Ioannina) and the Police Department of Xanthi. So far, the programme has benefited more than nine social care structures, hosting more than 200 children and around 630 patients/people from vulnerable social groups (disabled, elderly, chronic sufferers), while more than 55,000 packs of pharmaceuticals, consumables and essential goods have been donated. 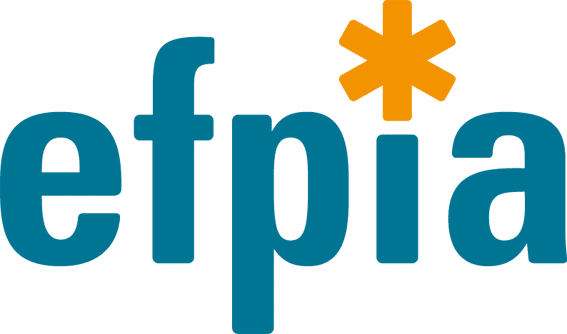 The social initiative “proSfeeroume” is actively supported by SFEE member companies (AbbVie, Angelini, Bayer, Galenica, Genesis Pharma, Help, LEO, Merck, Novartis, Pharmaserve Lilly, Pfizer, Sanofi, Servier, Vianex), the Association of Health – Research & Biotechnology Industry (SEIV) and Apivita.